SUNRISE, FL – Feb. 6, 2018 – U.S. Stem Cell, Inc. (OTC: USRM), a leader in the development of proprietary, physician-based stem cell therapies and novel regenerative medicine solutions, today announced it is experiencing explosive demand for stem cell treatments at its clinics — a trend that is reflected in the 106% increase in revenues during the 3rd Q and is continuing as a result of rapidly increasing demand from the marketplace. As a result, USRM Chief Science Officer Dr. Kristin Comella, who is featured in the docuseries, “The Healing Miracle: The Truth About Stem Cells,” will be hosting a live webinar Friday, Feb. 9, to help answer questions about stem cell therapy and treatments. “Our phones are ringing off the hook,” said Dr. Comella. “Public demand is ramping up quickly, as Americans invest in educating themselves on stem cell therapy and alternatives to opioid protocols for chronic pain. Moreover, because stem cell therapy is an out-of-pocket expense, improved economic indicators are giving Americans more money in their pockets for discretionary spending, which is increasing opportunity for stem cell treatments,” said Dr. Comella. Total revenue for 2017, which will be announced in mid March when the company files its 10k, is expected to increase from 2016. Dr. Comella, who has more than 20+ years’ experience and is one of the world’s leading stem cell scientists, can be seen in The Healing Miracle docuseries here. To view Dr. Comella’s interview online, click the link and fill out the information, which will provide complimentary access. To access Dr. Comella’s live webinar this Friday, Feb. 9, at Noon EST, click here to register or join. Details of the webinar, along with a playback link after it is broadcast, will also be posted on the company’s website and its Facebook page (https://www.facebook.com/USStemCellInc/). 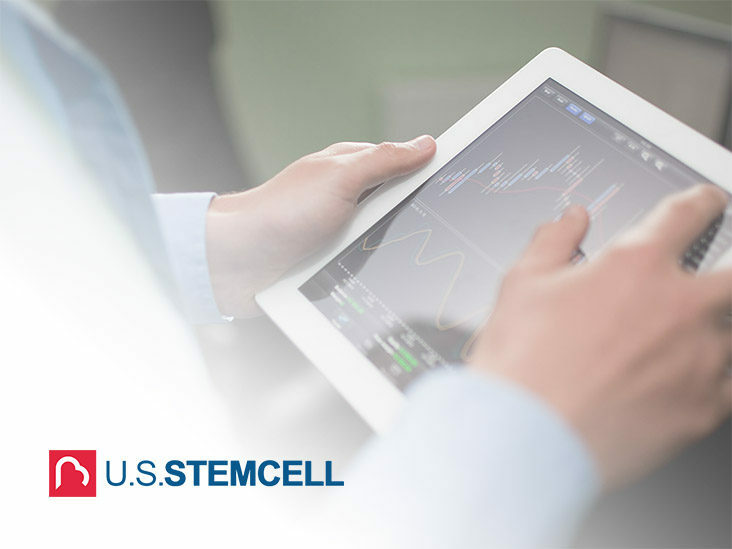 USRM has been involved in more than 10,000 stem cell procedures since 1999 for a variety of indications including orthopedic, autoimmune, degenerative and neurological diseases. USRM also trains and certifies physicians in stem cell therapy — to date, more than 700+ physicians worldwide — and has engaged with more than 287 clinics. Dr. Comella is well published in the scientific literature and has been recognized by her peers as an innovator and world leader in the development and clinical practice of stem cell products and therapies. She has also been instrumental in developing and bringing to market USRM’s AdipocellTM, a stem cell kit which enables physicians to separate potent stem cells from a patient’s own fat cells, which are harvested and reinserted in a minimally invasive, two-hour procedure without general anesthesia. U.S. Stem Cell, Inc. is an emerging leader in the regenerative medicine / cellular therapy industry specializing in physician training and certification and stem cell products including its lead product AdipocellTM , as well as veterinary stem cell training and stem cell banking and creation and management of stem cell clinics. To management’s knowledge, USRM has completed more clinical treatments than any other stem cell company in the world in the past 20 years; has more than 287 clinics using its proprietary technology and has certified more than 700 physicians and veterinarians in autologous stem cell therapy worldwide.